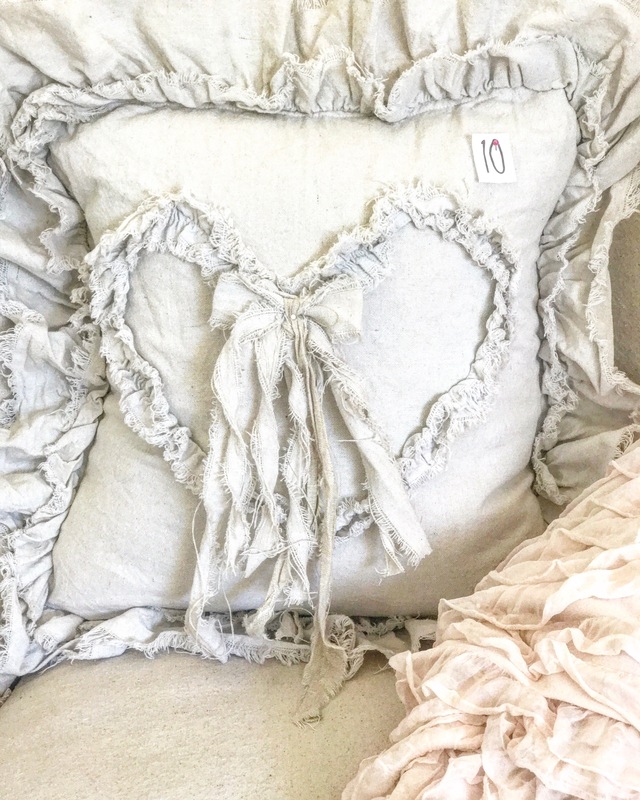 What is it about a throw pillow that just makes my heart skip a beat? Is it the texture? Is it that they can easily be changed out? Is it the endless styles available? Let’s be honest it’s all of the above! 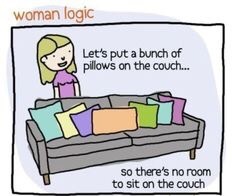 I don’t know about you all but I stick to the four basic rules when I purchase a throw pillow….. or in my case probably multiples. Comfort! This is a big one for me! 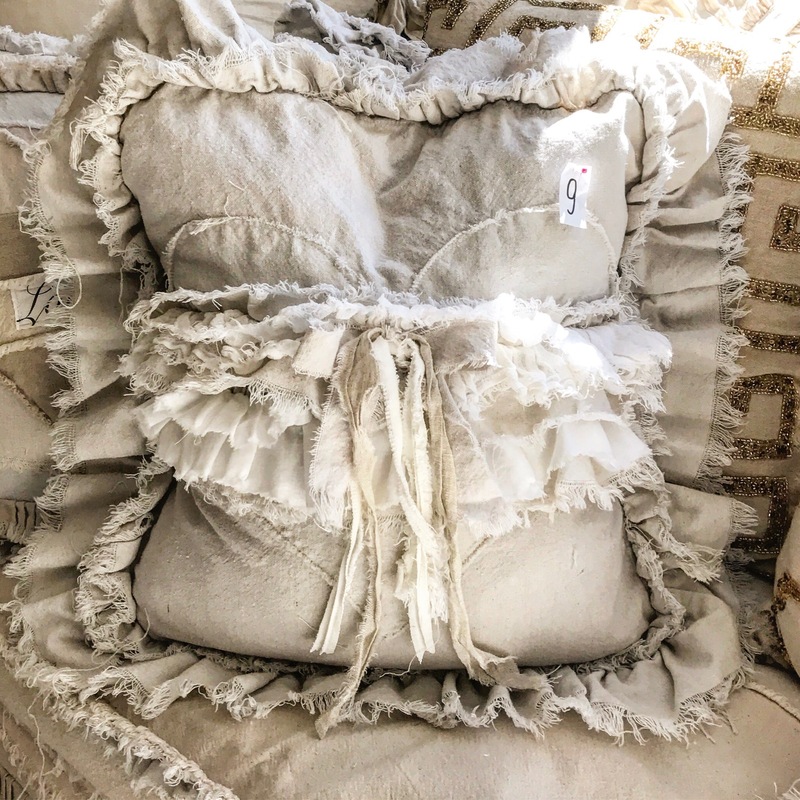 Although most throw pillows are for decoration only, if the pillow is as hard as a rock and the material isn’t right; it’s not going to fit into my comfortable farmhouse theme. Style! Let’s be honest here… We all know my eye prefers a shabby theme. If it’s not tattered, appears to be old, or has some kind of a word on it most likely it won’t end up at my house. Cost! I try to keep my accent pillow budget under $65-$75 per pillow; excluding insert. Jill, Doves and Dahlias pillows are something dreams are made of! The detail that goes into each one of these pillows is truly remarkable! 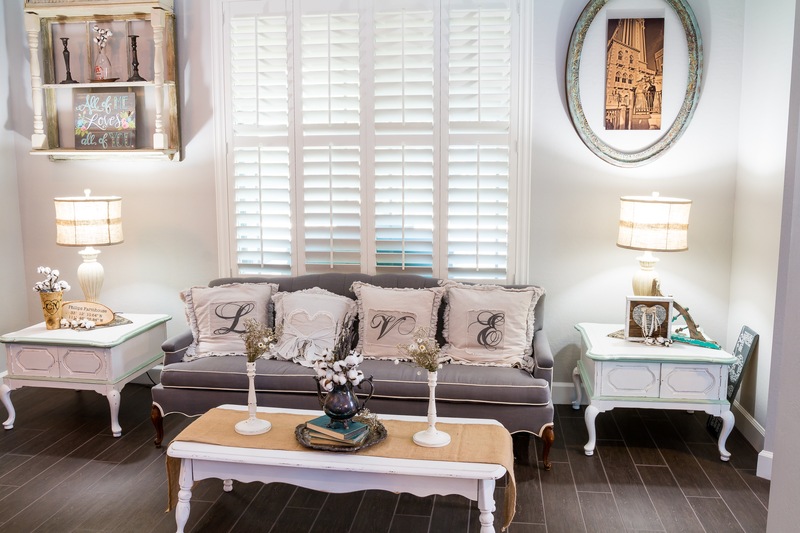 Her pillows are affordable, the shape is incredible, they’re super comfortable, and fits in amazing with my decor! 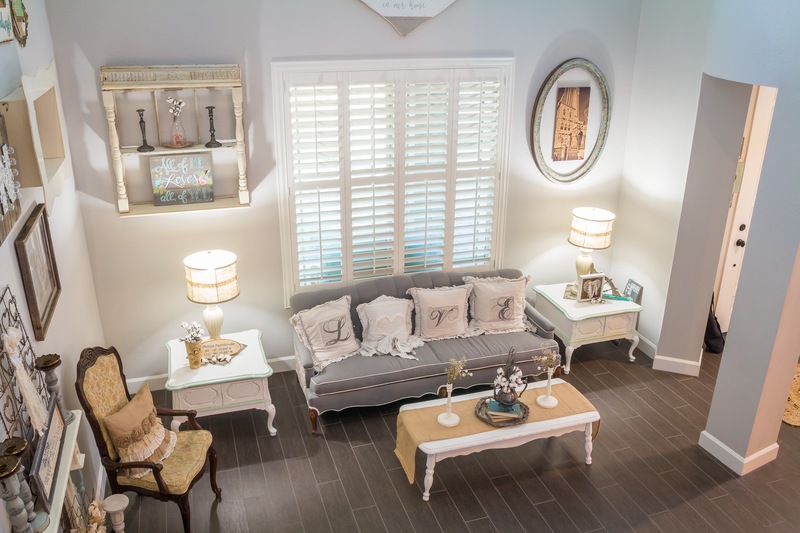 How great does this set look on our formal living room couch!! Many naps have been taken on that couch and her pillows are the perfect snuggle partners! How can I get my hands on her fabulous pillows? I’m sure you’re asking yourself!!! Jill has an Etsy sale almost every Friday 10am PST. Each pillow sham is $65 plus shipping. Once you buy one you’ll end up with an entire couch full of her goodies! Trust me! I do recommend purchasing feather down inserts (18-22inch) on Amazon for her shams. 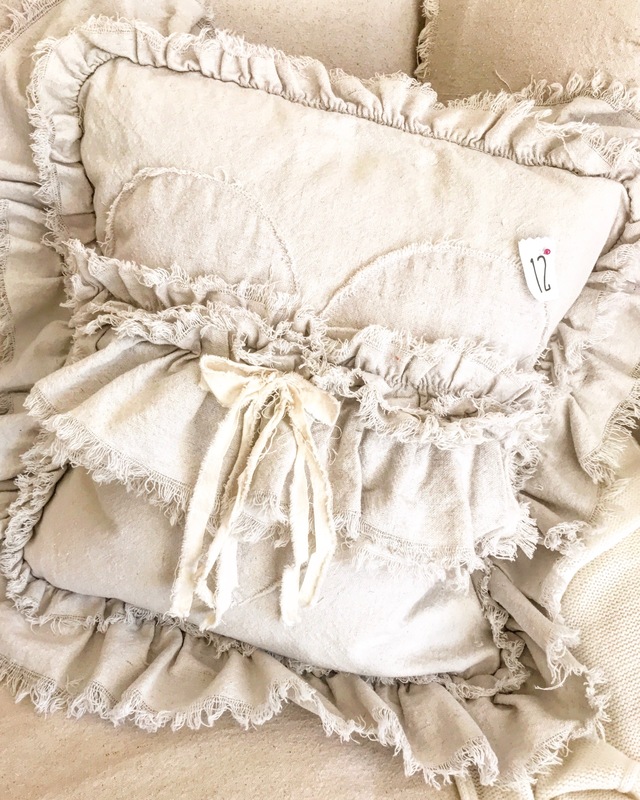 Although I do have some of Jill’s pillows for decor only, the majority of them we use daily! Just remember the more pillows you have the closer you are to making an epic shabby pillow fort! I’m so proud of myself that my first post about Nicole’s favorite featured makers wasn’t about signs 😂 We all know how much I love them!!!!! Shabby pillow fort! Hahaha! I love it. And these are my favorite pillows ever! !